when you are in trouble. 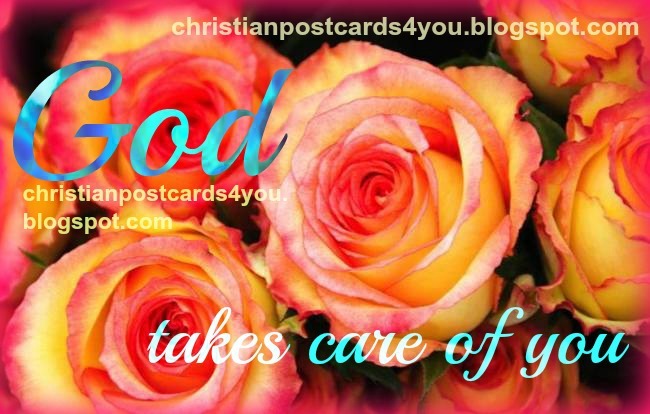 God Takes Care of you free card, christian postcard with poem, christian quotes for friends. Nice cards to send to beloved family, nice words to my daughter, God protects you. Free christian images.